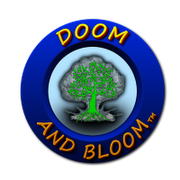 Shop online in the Doom and Bloom official store . Unlike medical kits developed by nameless “medics” that prepare you only to transfer your patient to the rescue helicopter, Doom and Bloom(tm) survival medicine medical kits are personally designed for true survival situations by medical preparedness professionals Joe Alton, M.D. and Amy Alton, A.R.N.P. Each kit is designed for specific circumstances where YOU are the end of the line when it comes to the medical well-being of your family or group. Check out our entire line of medical kits, often copied but never equaled! Find out more about Joe Alton, M.D. aka Dr. Bones and Amy Alton, A.R.N.P. here. The Family Medical Bag(tm), our kitchen sink! Link -> Start Shopping in the Store Now! And find even more education with our latest edition of The Survival Medicine Handbook, 3rd Edition.